In Florida a person who commits a DUI offense for the first time faces a maximum of one year in jail and $1000 fine. If your blood alcohol level is at or above .15 in Florida you face additional penalties. You can also be convicted for DUI if the state can prove that you drove a vehicle when your normal faculties were impaired, such as by taking illegal drugs, or anything that can alter your normal state. You can be certain that for Mr. Deegan and anyone accused of DUI in Jacksonville, it is extremely important for you to hire a Jacksonville DUI Lawyer who has experience in dealing with DUI charges. A person arrested for DUI needs an attorney to obtain evidence quickly before it is destroyed. Law enforcement does not keep audio and video recordings indefinitely. As a result, crucial evidence such as field sobriety videos and jail videos may be lost if not requested quickly. Some police departments in Florida only keep such recordings for 30 days. As a result evidence can be lost prior to a defendant ever appearing for their first court date. Additionally, unlike many other crimes, DUI charges rely heavily on scientific evidence such as the breathalyzer and field sobriety exercises. A breathalyzer is an instrument that can measure the concentration of alcohol in a persons breath. Law enforcement uses certain tests called field sobriety exercises that require a person to do things such as walk a straight line, to stand on one leg, stand with your legs together, use your arms to touch your finger to your nose, and many others. These criteria are evaluated when determining whether or not a person was impaired. An experienced criminal defense attorney will know how to evaluate and challenge the evidence in the case which many times is the difference between being acquitted or convicted. If you or your loved one needs has been arrested for Driving Under the Influence in Jacksonville, they need a Jacksonville DUI lawyer. 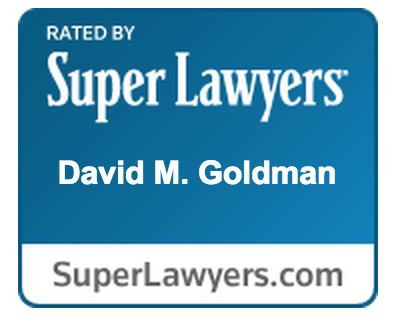 Call the Law Office of David M. Goldman for a free consultation today.